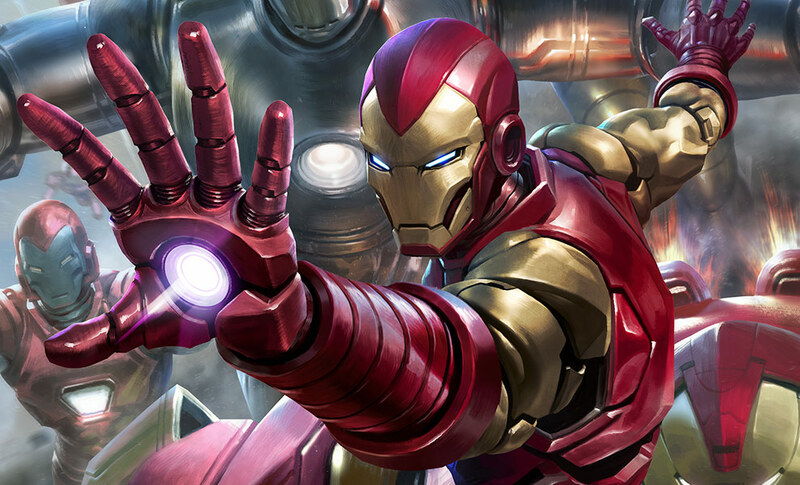 Time to suit up! 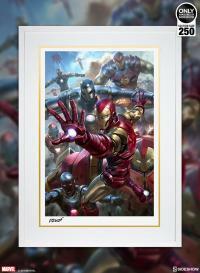 Sideshow presents the House Party Protocol Fine Art Print by artist Derrick Chew. 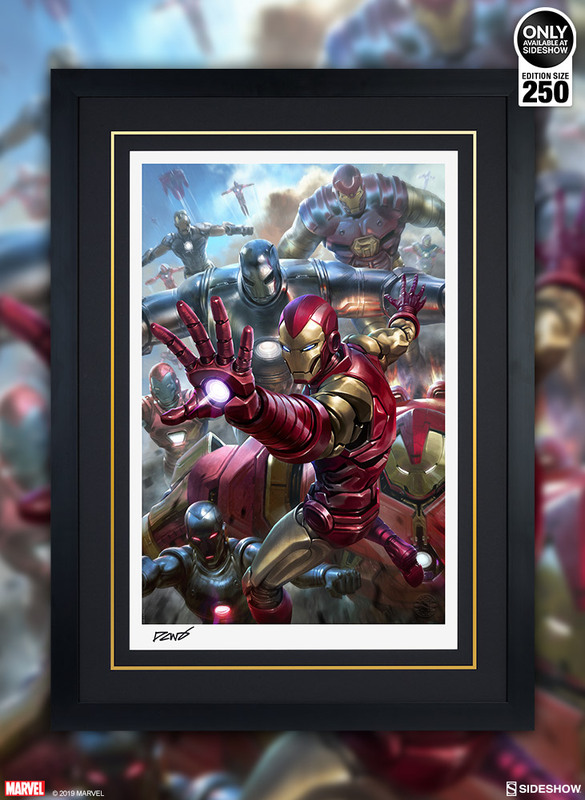 It’s no secret that futurist Tony Stark has made his mark- well, many Marks- on the Marvel Universe with his iconic armor designs. 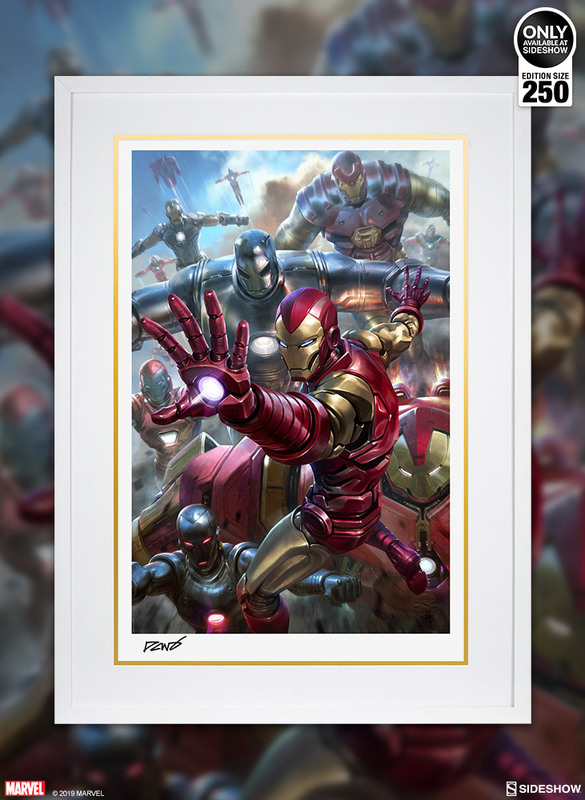 Assemble a legion of Stark’s finest with the House Party Protocol Fine Art Print, which features numerous fan-favorite Iron Man suits including the Hulkbuster, the Stealth Suit, the Silver Centurion, and more. Over a dozen vibrant suits are packed into this house party, ready to tackle any uninvited threats to the Marvel Universe. 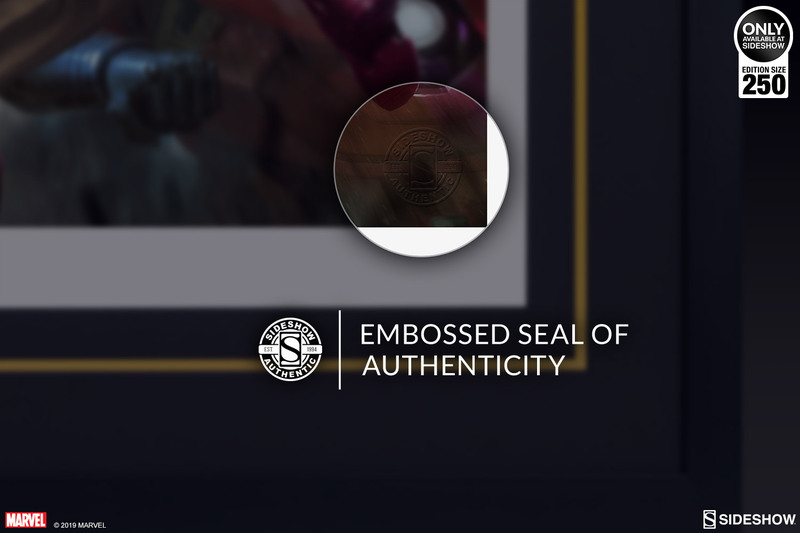 Each unframed House Party Protocol Fine Art Print features an authorized, automated pencil signature and an embossed seal of authenticity as a part of the limited edition of 250 pieces. 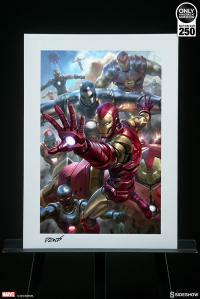 Activate the armory and bring home this epic Iron Man fine art giclée for your universe of Marvel collectibles. 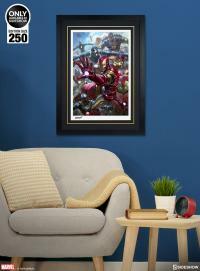 Enter the future and deploy the House Party Protocol Fine Art Print to your Marvel collection today! 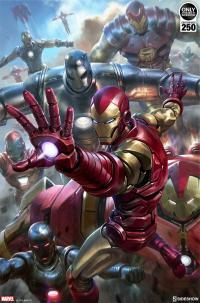 Derrick Chew, aka DCWJ, is a freelance artist born and raised in Singapore. 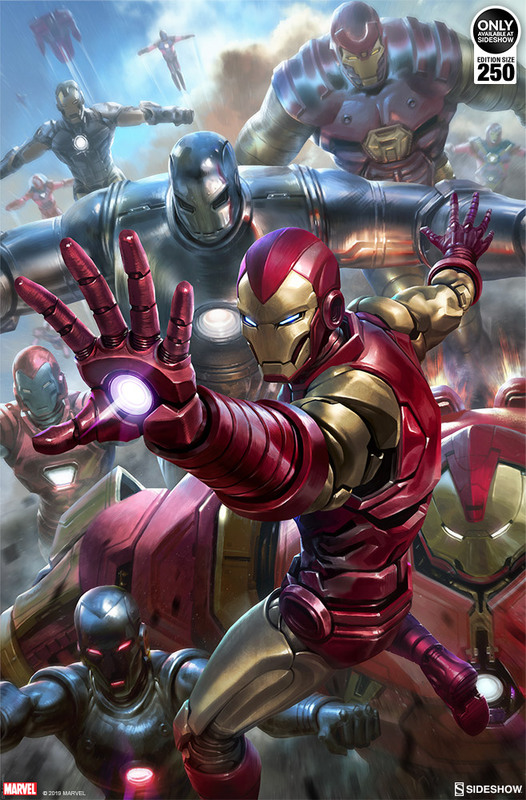 He received formal training in 2d animation while in school and has always been very fascinated and inspired by Japanese anime as well as western style art. Formerly a Senior Artist from Imaginary Friends Studios, he later branched out to specialise in doing Character Illustrations and concept art for various entertainment and gaming companies like Games workshop, Kabaam, Kingdom Death, Square Enix, Epic Games, Ninja Division, Applibot and many more. 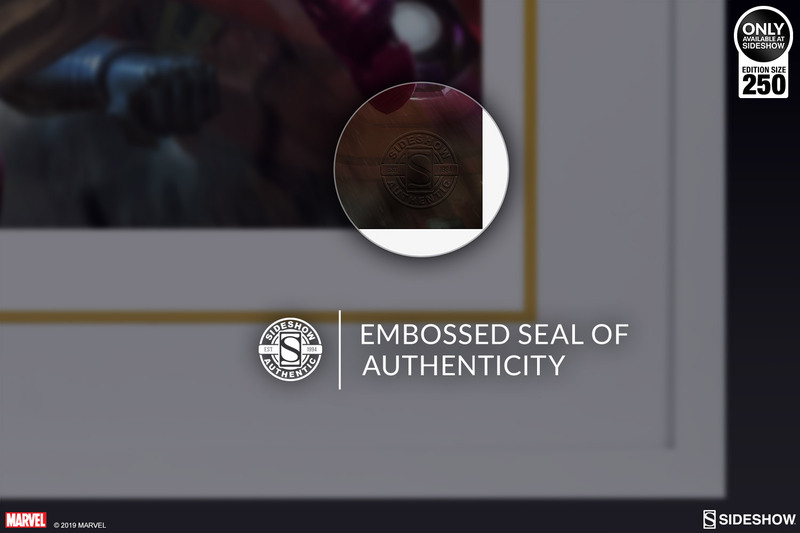 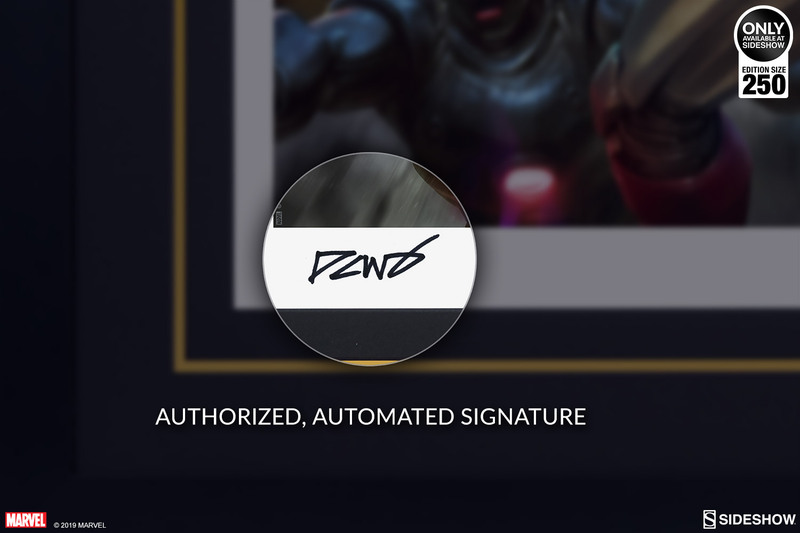 Each House Party Protocol Fine Art Print features an authorized, automated pencil signature and an embossed seal of authenticity as a part of the limited edition of 250 pieces. 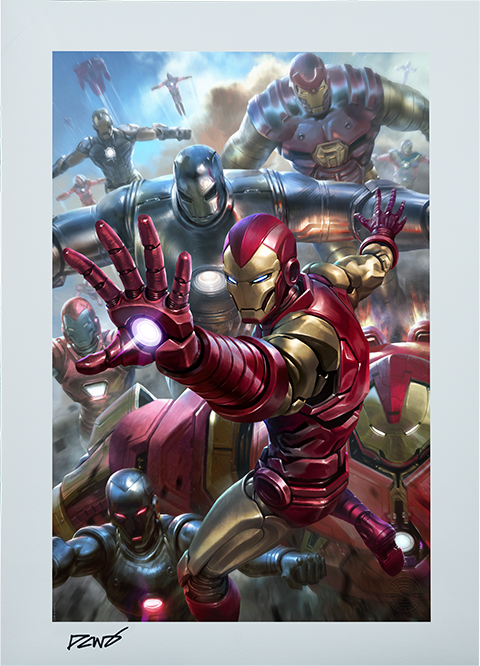 Activate the armory and bring home this epic Iron Man artwork for your universe of Marvel collectibles. 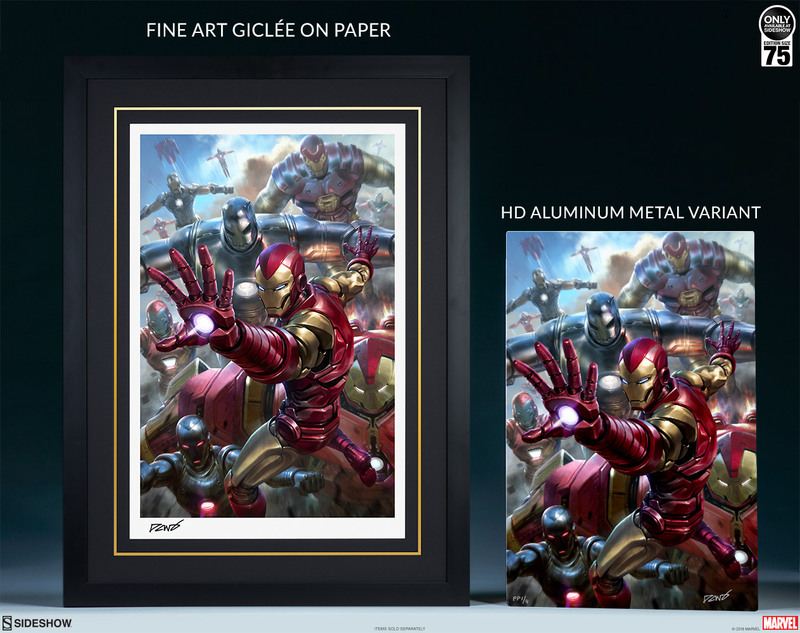 This framed edition fine art print is a must-have for Iron Man fans, available with black and white framing options complete with custom double mat design to instantly upgrade any home art display. 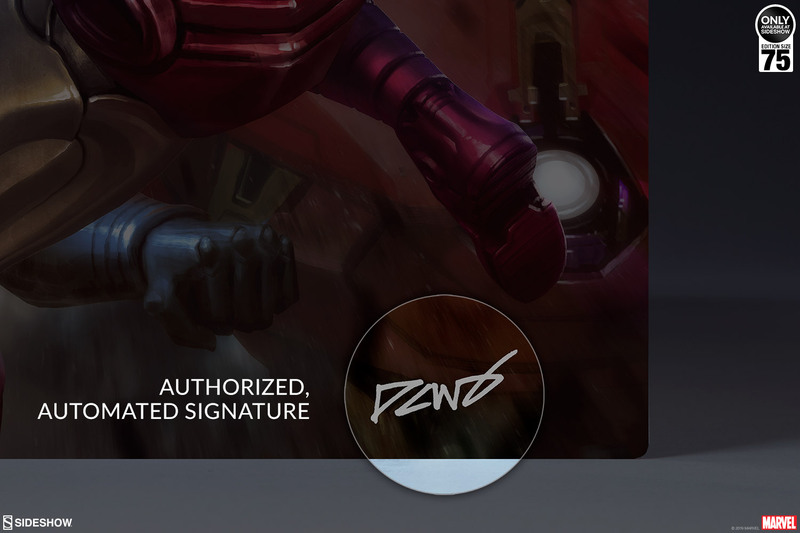 Time to suit up! 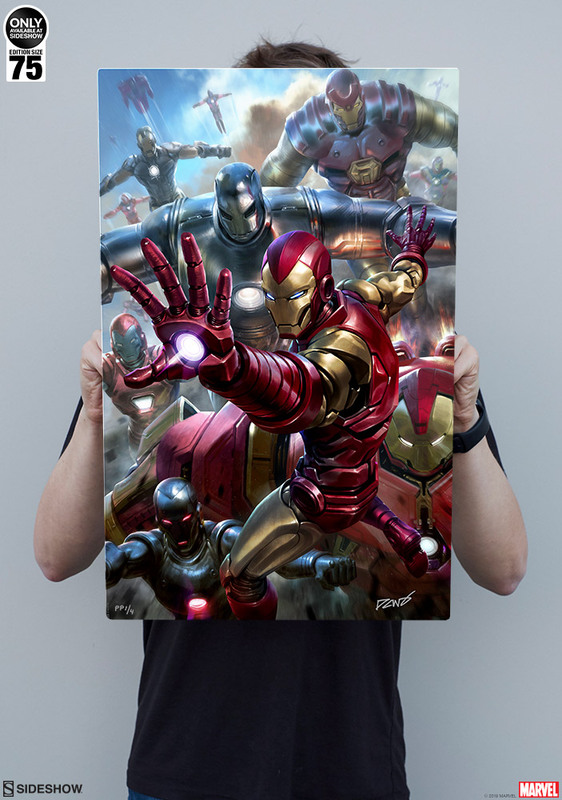 Sideshow presents the House Party Protocol HD Aluminum Metal Fine Art Print by artist Derrick Chew. 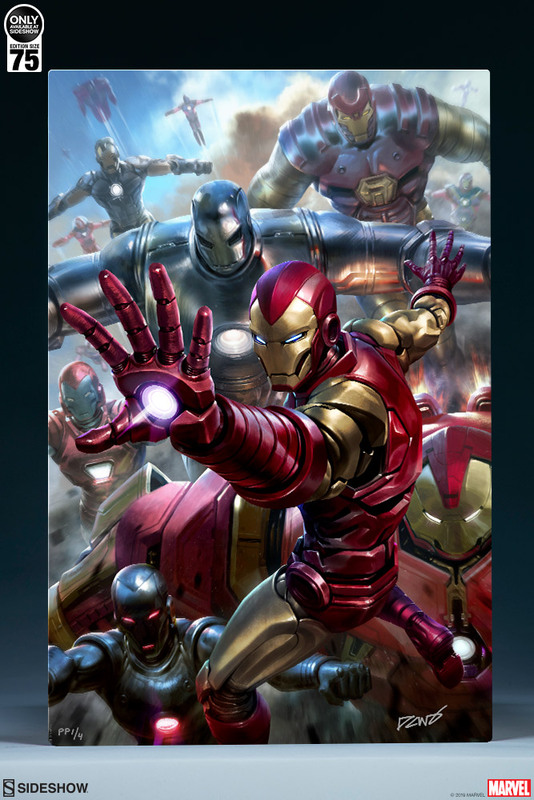 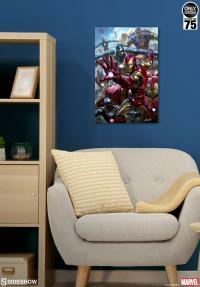 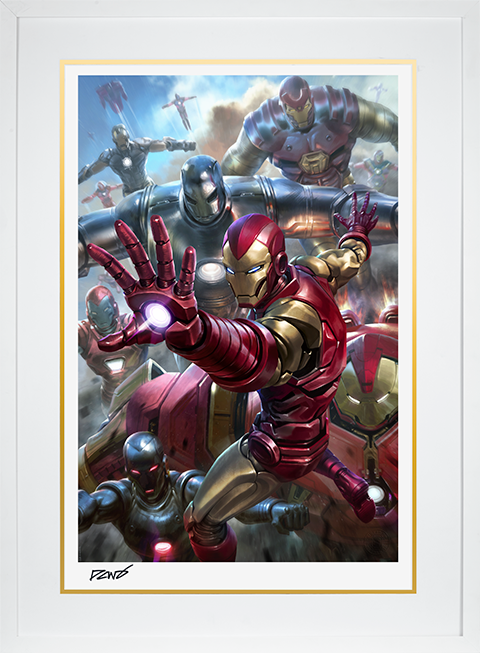 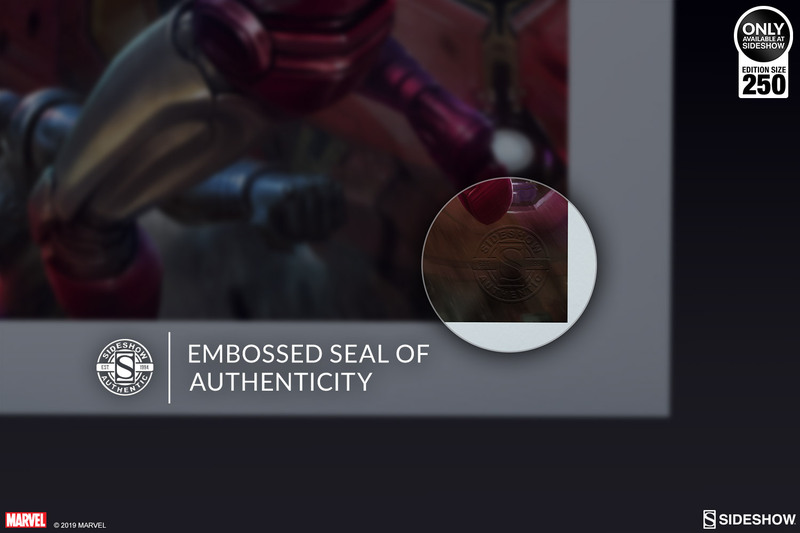 This vibrant metal print shows off Iron Man’s stylish armor in a visually exciting and easy-to-display format. 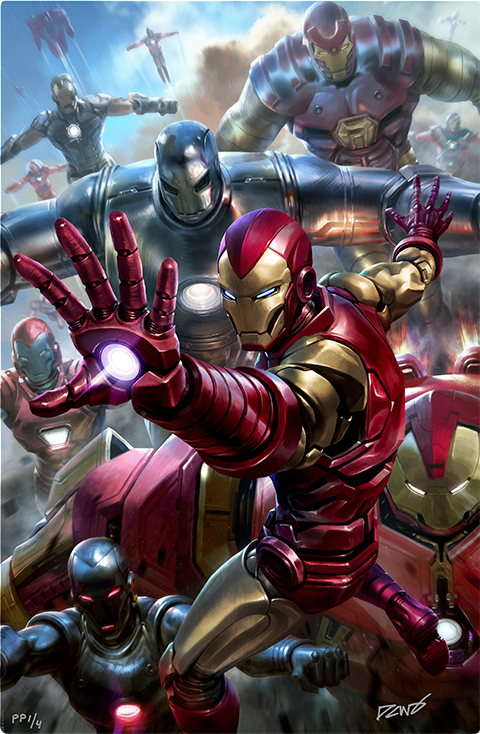 It’s no secret that futurist Tony Stark has made his mark- well, many Marks- on the Marvel Universe with his iconic armor designs. 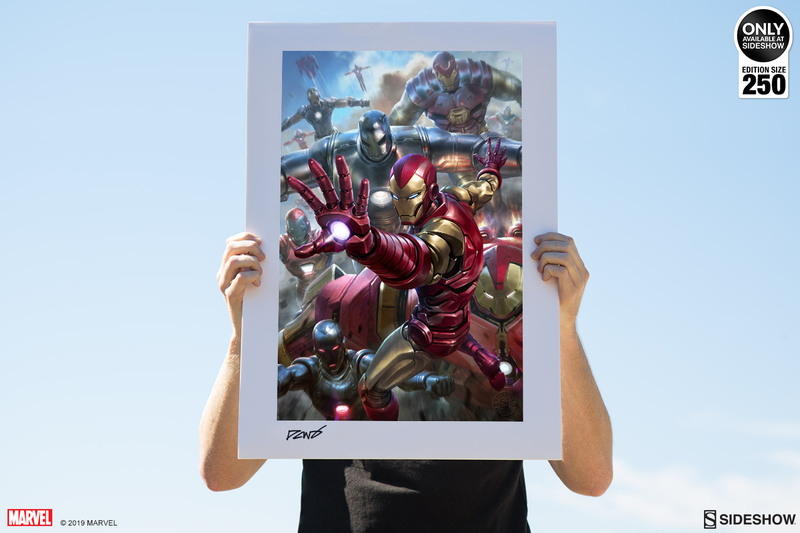 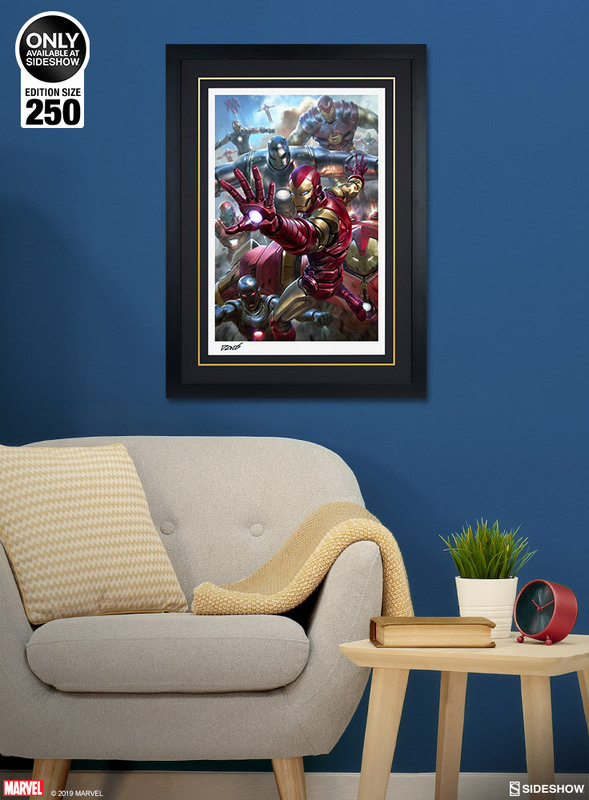 Assemble a legion of Stark’s finest with the House Party Protocol HD Aluminum Metal Fine Art Print, which features numerous fan-favorite Iron Man suits including the Hulkbuster, the Stealth Suit, the Silver Centurion, and more. 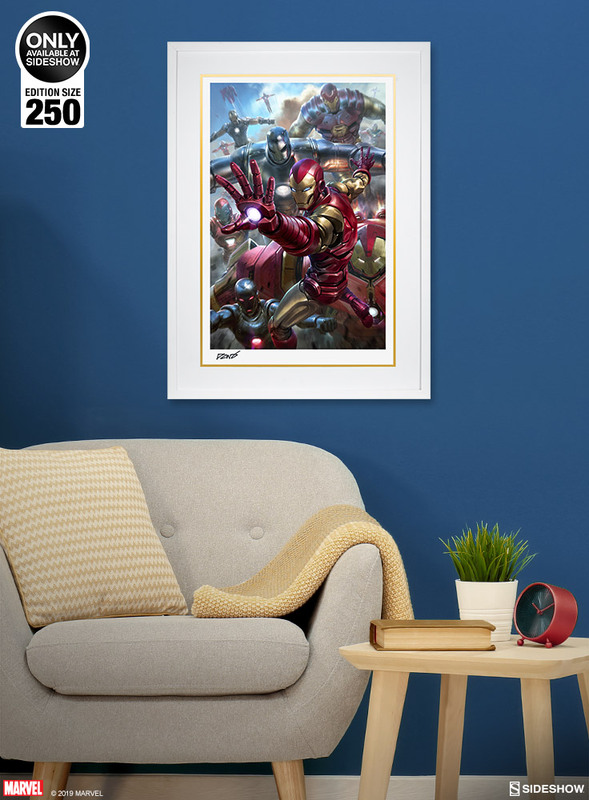 Over a dozen vibrant suits are packed into this house party, ready to tackle any uninvited threats to the Marvel Universe. 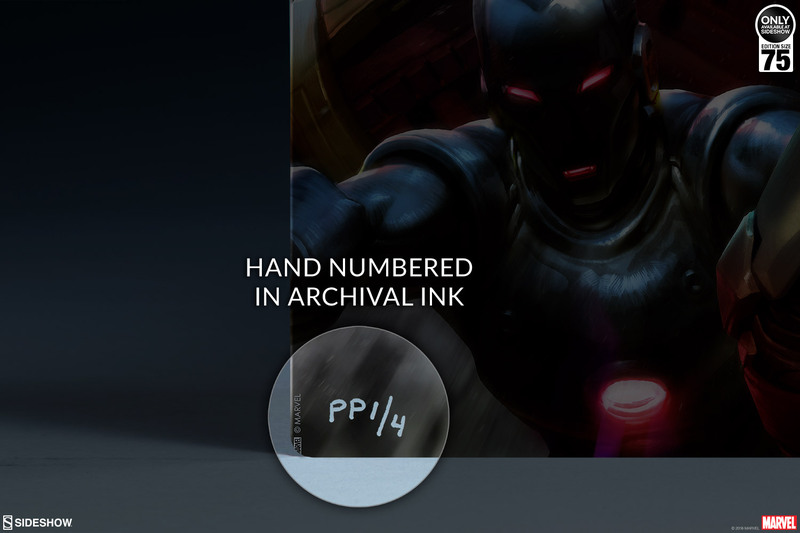 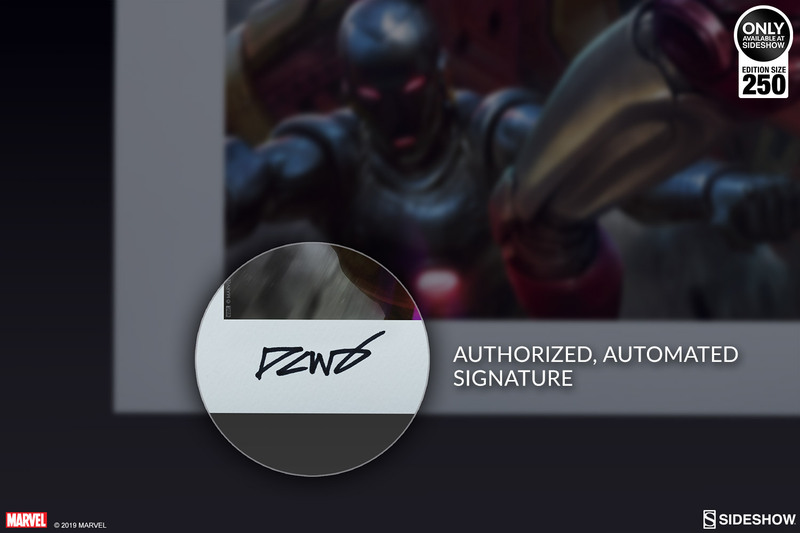 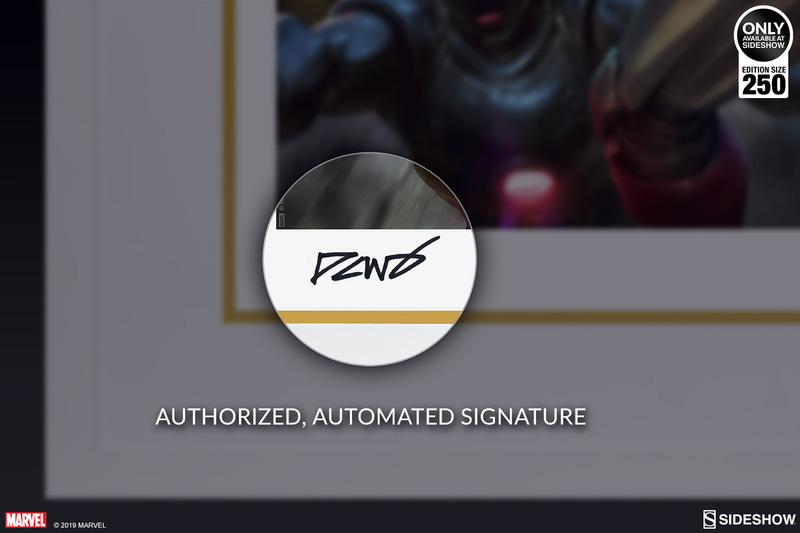 Each House Party Protocol HD Aluminum Metal Fine Art Print is hand-numbered and features an authorized, automated ink signature as a part of the highly-limited edition of 75 pieces. 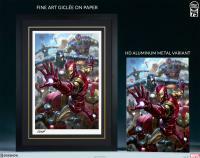 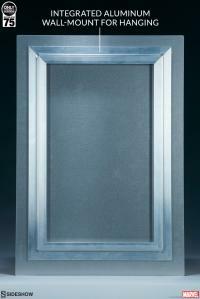 Each HD Aluminum Metal print comes ready for display, with an attached aluminum wall-mount and hanging hardware included. 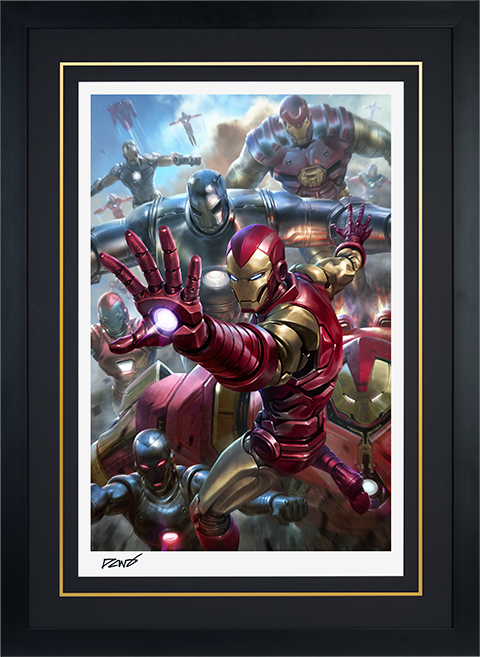 Activate the armory and bring home this epic Iron Man artwork for your universe of Marvel collectibles. 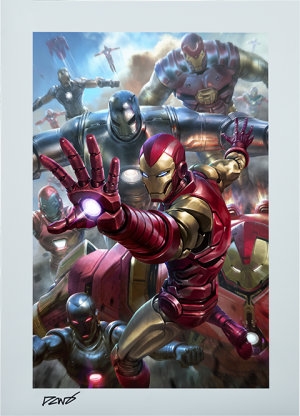 Enter the future and deploy the House Party Protocol HD Aluminum Metal Fine Art Print by Derrick Chew to your Marvel collection today!